Malcolm X would have called it the chickens coming home to roost. Justin Timberlake would have belted out his hit song "What Goes Around Comes Around." St. Paul would have referenced the letter in which he warned the Galatians that we reap what we sow. 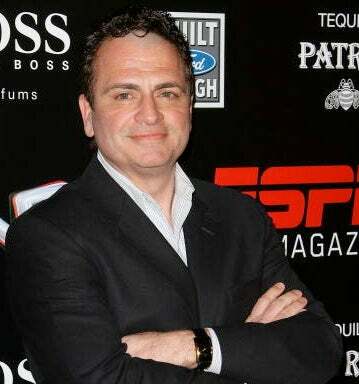 Those are just some of the idioms befitting star sports commentator Jay Mariotti and the barrage of media criticism he's endured since being arrested on suspicion of felony domestic assault. He could have avoided a large measure of the scorn had he followed the advice of another guy in the Bible, who offered us a simple, golden rule: "Do unto others as you would have them do unto you." That certainly hasn't been Mariotti's MO since becoming a sports columnist in the early 1980s and eventually gaining national prominence through ESPN's Around the Horn. He's the master of snap judgments and visceral attacks against, primarily, African-American athletes, routinely lambasting them at the first whiff of impropriety, before allegations have been sifted for facts. He rails against their alleged misdeeds with vigor and enthusiasm, and an air of pompous self-righteousness that screams in print the same way he screams on TV. Nothing sets off Mariotti like accusations of domestic abuse, and he's merciless in deriding suspects, as well as officials and administrators he deems too slow to condemn and to distance themselves. He was at it again just a week before his arrest, in a column headlined, "For Acts of Violence, MLB Much Too Soft," which is probably true. But he rarely separates accusations from convictions or believes that second chances are warranted. Now that he's leapt to the other side of a police report — arrested, jailed and released on bail — he shouldn't complain about the rough media treatment he's receiving: He's the leading practitioner of that style, evidenced by a column when the Chicago Bears were contemplating drafting wide receiver Randy Moss: "[Moss] has been trying, with a precise public-relations plan, to convince Chicago he won't be a menace to society if the Bears draft him. You know, that he has matured since allegedly striking the mother of his daughter, stomping a student in a race-related brawl, smoking pot and serving 93 days in jail." His approach has earned him a measure of fame and fortune, but it has cost sports fans and cost athletes, too. The former have lost a bit of their perspective and sense of fairness; the latter have lost a bit of their respectability and belief in justice. The result? Athletes — especially African Americans — have been broad-brushed into one, big lump of abusers and assaulters, leading to the creation of groups like the National Coalition Against Violent Athletes. According to a Department of Justice report from 2000, approximately 1.3 million women are physically assaulted each year by an intimate partner in the U.S. That means scoundrels exist in every walk of life, not just sports. Even if athletes account for a disproportionate number of perpetrators in sexual assault and domestic violence cases (as the NCAVA suggests), the vast majority of athletes do not wind up on police blotters. And lawyer Jeff Benedict, the author of Public Heroes, Private Felons: Athletes and Crimes Against Women, says that not only are athletes more likely than the general population to be charged, but they're also more likely to be acquitted. But like a hit-and-run driver, Mariotti is rarely present when matters are sorted out and athletes are found not guilty. By then he's moved on the next intersection where sports and pop culture collide, where he inflicts more damage with his rash judgments and reckless opining. You wonder if he'll slow down now that he's the alleged perpetrator who is being vilified. Not that a different tone and tenure would have automatically kept him from being suspended by ESPN and AOL Fanhouse. Suspensions are a common reflex for big business when high-profile employees face scandalous charges. For all we know, he's guilty as charged, which makes him a hypocrite of the highest degree. But if not, the hope is that this experience will give him pause the next time an athlete is charged. If the ordeal teaches him nothing else, however, at least he can learn a little Shakespeare. The Bard would have classified Mariotti as one "hoist with his own petard."